The new AirPods headset is different in design and easy to use, however, there is one “but” – expensive headphones are very easy to lose. 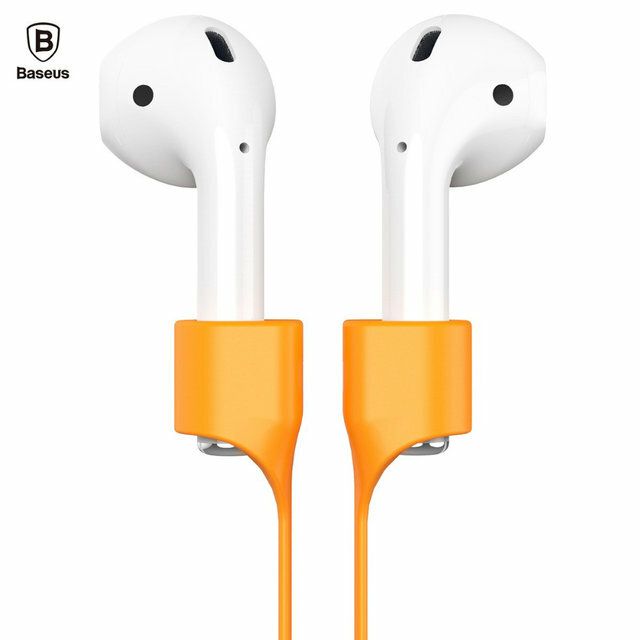 Since AirPods do not have an additional wire to prevent loss, Baseus decided to fill the gap and created theBaseus Earphone Strap for AirPods holder . Silicone cord is a simple but very useful product that minimizes the risk of losing AirPods headphones. Lightweight and durable wire is equipped with clips that are attached to the leg of each headphone, which allows you to wear them around your neck, like a regular wired headset. So that the headphones did not move in one direction and did not fall together with the holder, small magnets were built into the eyelets that connect the ends of the holder together. Thanks to the holder, your AirPods will always be with you, whether it is a long grueling trip or an evening jog. Baseus Magnetic Strap For Apple Airpods can hold headphones in even the most extreme conditions. To prevent the headphones from sliding to one side and falling from the neck along with the holder, inside the eyelets are small magnets connecting the ends of the holder together when you remove the headphones from the ears.